News recently emerged about Alex Iwobi’s role in a soon to be released Nollywood movie titled ‘INPADISU’. While Iwobi’s camp has remained mute on the project, a trailer for the movie has hit the web. There are a lot of reasons why we are excited for the football star’s big movie debut but here are our top five. The Movie Has Already Been Shot! – We have to admit that when we heard about Iwobi’s involvement in the movie just days into the new football season, we were a bit concerned about how that will affect the athlete’s performance. However, the trailer has proved and confirmed that not only has the movie’s shooting rounded up but also that it will soon be in theaters! It’s A Nollywood Action Thriller – It’s not just a typical Nollywood movie, it’s an action thriller! Seeing the football star boy take on an action packed role will sure make for an exciting watch. 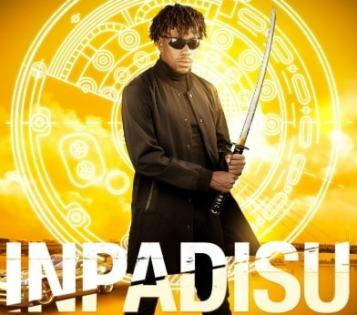 This Is his Acting Debut – ‘INPADISU’ will be Iwobi’s first acting gig and our expectations are very high! 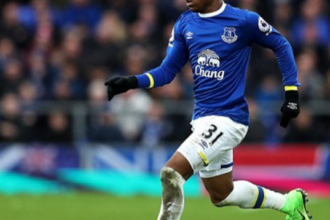 The project is a pretty big way for Iwobi to make a grand entrance on the acting scene. Sources claim that the football player took acting classes in preparation for the role so we are sure that he will knock it out of the park. What is ‘INPADISU’? – We are sure if you’re a curious cat like us, you’ve Googled and asked your friends what ‘INPADISU’ means. Found nothing? Same. We are thinking maybe it’s a word from a fictional country or continent like Wakanda or Essos. Whatever ‘INPADISU’ is, we can’t wait to find out. It’s Almost Here! – Although no specific date has been given for the cinema debut of the project, we are sure that ‘coming soon’ means exactly what it says. There really isn’t any movie that we were anticipating for the last quarter of the year, so Iwobi’s ‘INPADISU’ is a pleasant surprise. We can’t wait to be all about it!